Civil litigation is a branch of the law that deals with disagreements between individuals or companies. This is often the last resort when all other avenues of resolving a dispute have failed. Are you facing immigration action, seeking to visit or live in the UK or need the services of a human rights lawyer? 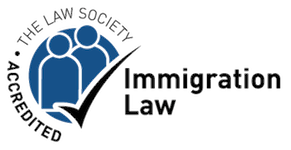 We offer a comprehensive list of immigration services. If your marriage has broken down and you would like to discuss the legal options available to you, don’t hesitate to call our family lawyers for advice. We are here to help you navigate the emotional and stressful period a failing relationship can cause, clouding your judgement. Whether you are buying your first family home, investing in a property business and buying or selling leasehold property, at CNA Solicitors, our property lawyers can help you enjoy a smooth transaction.